If you’re a little girl taking ballet class in Wichita, December arrives with one dream. It’s the role that everyone associates with the cherished holiday ballet. And it’s the role that comes with the prettiest costume, the bounciest curls and the most stage time. 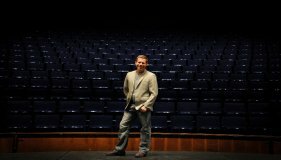 “Nutcracker” season starts in Wichita on Friday, Dec. 9, when Friends University will stage the first of its six performances over two weekends. Ballet Wichita follows with three performances at Century II scheduled for Dec. 16-18. The competing ballets take two different approaches to the role of Clara, the little girl who fights with her kid brother over a nutcracker toy at a Christmas party, then falls asleep and dreams of a world filled with her toy come to life and a cast of dancing sweets. 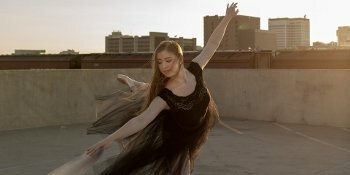 The Friends ballet, directed by longtime Friends University ballet director Stan Rogers, casts one girl to play Clara each year. Rogers prefers to cast younger girls who have a childlike look, and his Clara does not dance en pointe. The Ballet Wichita production, which is directed by longtime Wichita ballet mistress Jill Landrith, has two Claras who alternate performances. They’re usually older, more experienced girls who have learned to dance en pointe. This year’s three Claras, though, all have a few things in common. When they’re not dancing, they’re typical teens and pre-teens who love giggling with their friends, reading and watching television. Here’s a brief introduction to the three lucky and talented Wichita girls chosen to be Clara this year. Trivia: This is Karissa’s second consecutive year dancing the role of Clara.